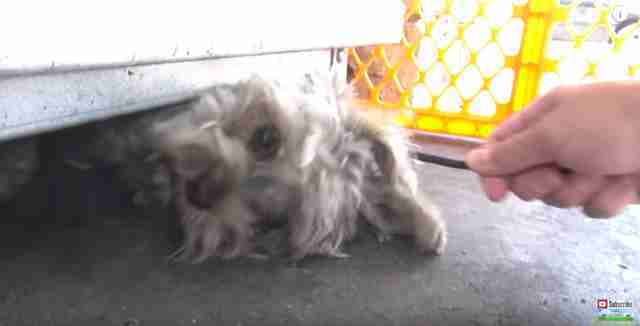 "The whole rescue took 10 minutes, but these were a stressful 10 minutes." 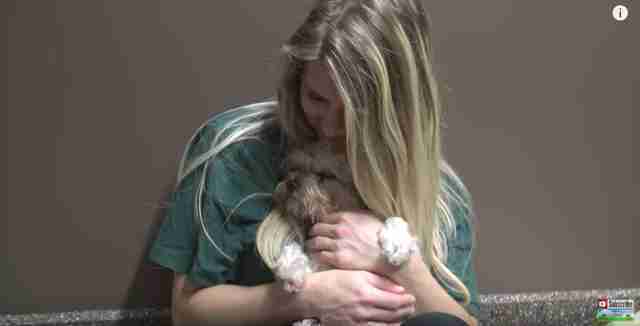 When Sephora the Yorkie heard fireworks on the Fourth of July, she was immediately terrified — and when her family opened the front door for just a split second, Sephora bolted. Sephora ended up wandering the streets for a while before crawling into a tiny space under a cabinet of propane tanks at a gas station. 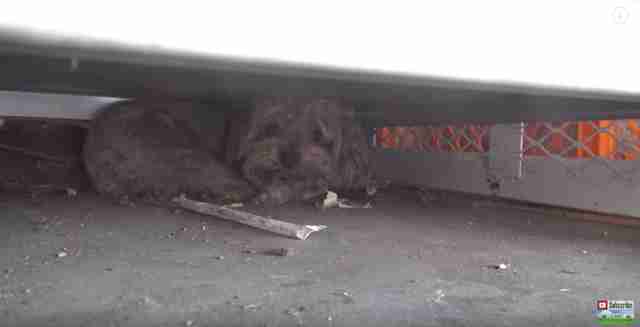 When a man noticed her hiding under there, he tried to lure her out with food, but she just growled at him, terrified, and so he decided to call for help. Hope for Paws heard about Sephora and immediately suspected she might be a fireworks runaway. 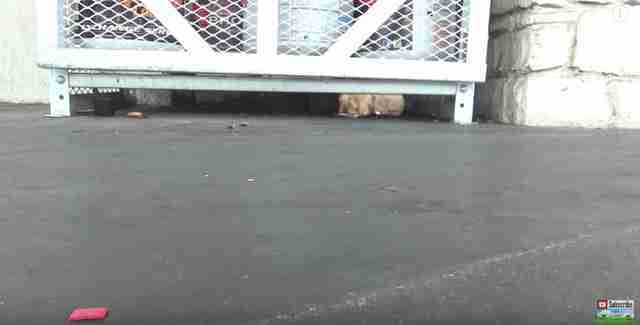 They quickly found the gas station where Sephora was hiding and used gates to fence in the area near her so that she couldn’t run away from them. 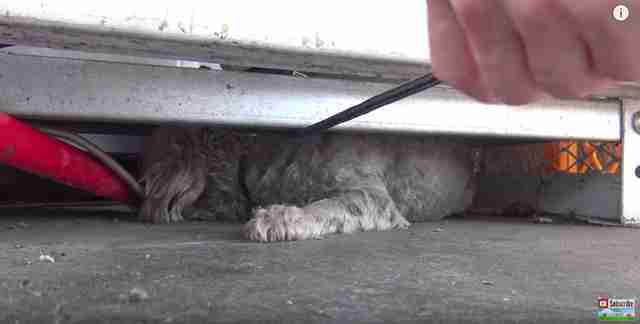 … and so rescuers gently put a snare around her neck to pull her out from under the cabinet. … they realized the tiny dog was somehow too big to fit through the gap between the cabinet and the ground. 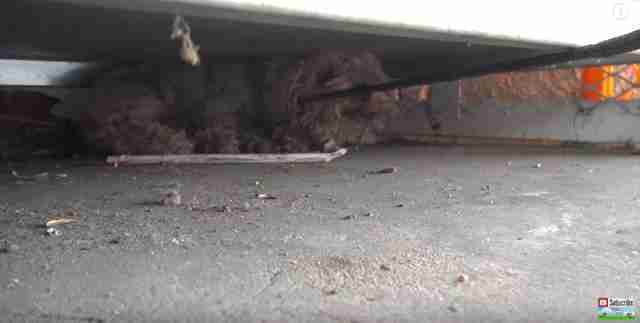 Everyone was baffled as to how she got under there in the first place, but refused to give up on their efforts to get her out. 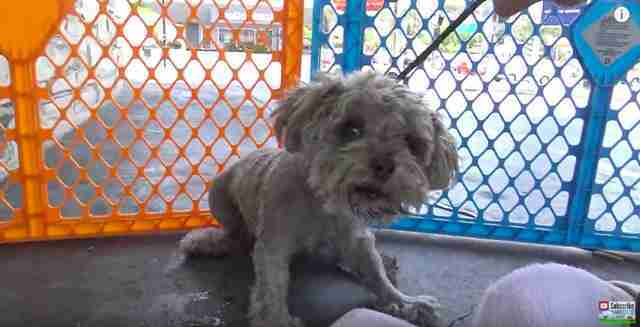 Finally, little Sephora was free, and as soon as she was in the arms of her rescuers, she began to relax, as if she realized she was finally safe. Sephora was scanned for a microchip, but unfortunately, she didn’t have one. 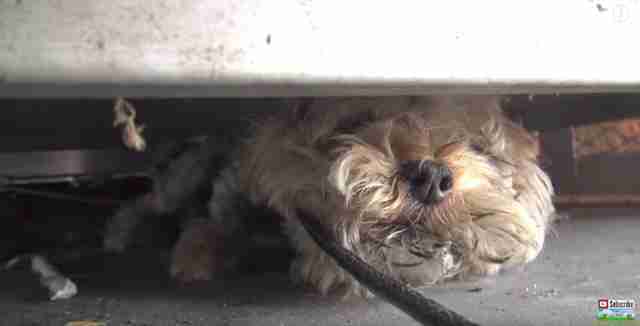 Still, Hagar had a strong feeling that a sweet, healthy little dog like Sephora had a family out there somewhere, and so he decided to foster Sephora himself while he searched for her missing family. “For a whole week I searched every possible website and by luck, one website that I had never even heard about had her picture and I knew right away it was her,” Hagar said. Hagar arranged to meet up with the family who had posted Sephora’s picture online, and as soon as she saw them, Sephora went crazy, so excited to finally be reunited with her loved ones again. So many dogs go missing every year around the Fourth of July, which is why it’s important to make sure your dog is microchipped, so that if she does go missing, she’ll be able to find her way home.